Among kootu varieties this is one.This is simple and easy recipe common in SouthIndia.It is very nutritious too.Best for rice. 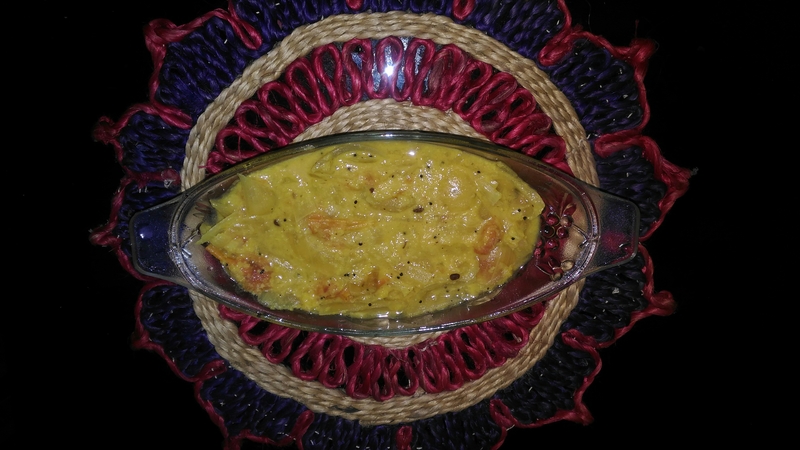 1.Pressure cook the dhal with turmeric powder and keep aside. 2.Heat oil in a kadai add mustard seeds when it splutters add urad dhal when it turns brown add onions.Fry a little add tomato and fry for sometime add little water and cook for sometime.Add required amount of salt. 3.When it is cooked add cooked dhal to it. 4.Grind coconut,cumin seeds,green chillies and garlic pods into fine paste.Cook till raw smell goes. Optional can use green tomato (unripe tomatoes) without onions. Increase or decrease the quantity of tomatoes and onion according to individual taste. 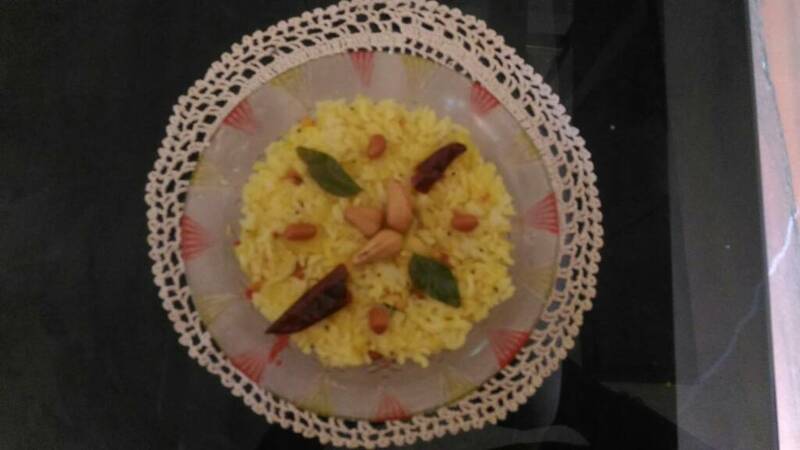 Among variety rice raw mango rice is one such.An easy to do recipe also lunch box special.As this is mango season I thought of posting this one. 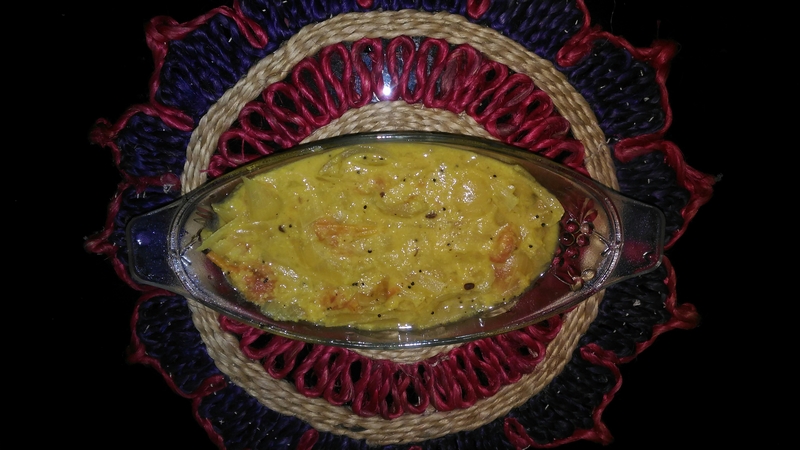 1.In a kadai add oil to it add mustard seeds when it splutters add Bengal gram dhal,urad dhal. 4.Mix well.Finally addcooked rice to it. Optional can add fried cashews. Black gram dhal rice is famous in Tirunelveli District.It is rich in protein.As this dhal is rich in iron this is given to girls when they strain puberty also this strengthens the uterus and bones. This is especially good for teenaged girls. 1.Dry roast black gram dhal. 2.Wash rice and dhal together.Keep it either directly or in a vessel. 3.water should be three and half times..
4.To it add garlic pods coconut scrapings and required amount of salt. Keep it for 3 whistles. 1.Pour oil in a kadai .Add sesma seeds and red chillies. 2.Then add coconut scrapings fry a little. 3.When cool grind it with tamarind and salt. 1.Pour oil in a kadai. 2.Add red chillies fry a little then add coconut scrapings. 3. When cool add tamarind and salt and grind it. 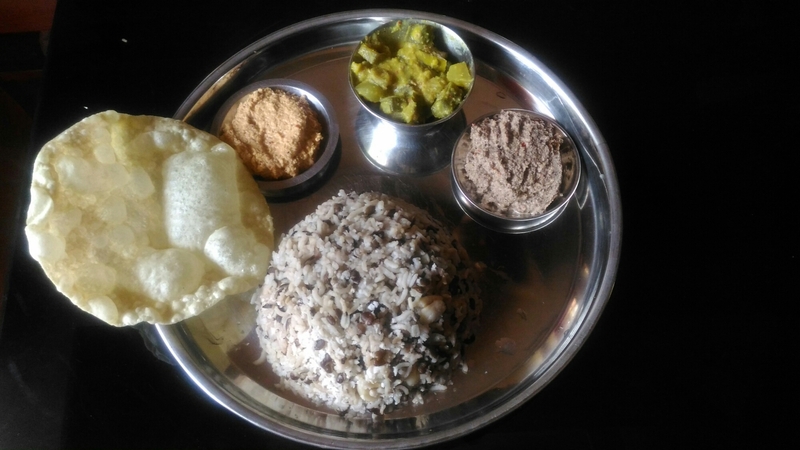 Serve with Avial or Okra Pachadi and Papadam. While mixing rice and thovaial add a dash of sesame oil. I have used split black gram with skin but can use dhal without skin .